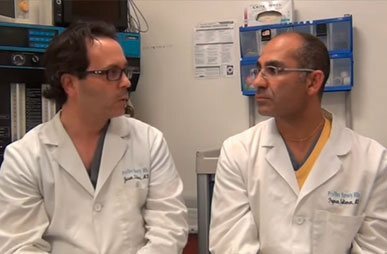 Our Facial Plastic Surgeons, Drs. Litner and Solieman, are experienced in the nuances of African American noses and respect the need to maintain the nose's ethnicity while improving its appearance. Most of our African American patients who are interested in Rhinoplasty simply want their nose to fit their face. While we recognize that there is tremendous variability among African American noses, most likely if you are African American and seeking Rhinoplasty, it is because you feel your nose is too wide, “too big,” or does not match other features of your face. Facial Plastic surgeons, Drs. 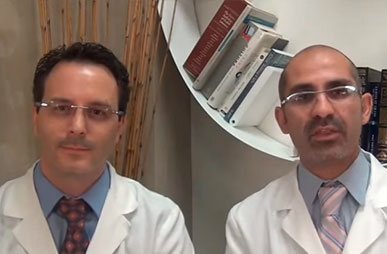 Litner and Solieman, work together on every Rhinoplasty. This results in refined results and a very low revision rate. We invite you to read more about us, the anatomy of African American noses, and the techniques we employ to achieve optimal results. How Do We Do African American Rhinoplasty? The reason you should consider us for your African American Rhinoplasty is simple: we have a lot of experience making our African American patients happy with their noses. “While in the process of conducting research for qualified plastic surgeons to perform rhinoplasty on my African-American nose, I was exposed to numerous horror stories involving bad surgical outcomes of patients like me that received the same procedure. As a result, I was somewhat apprehensive about moving forward with the surgery until I went to Profiles Beverly Hills and met Drs. Litner and Solieman who assured me they would be able to perform the surgery I wanted without giving me a “cookie cutter” nose that didn’t fit my face or racial identity. Rather, I would receive an aesthetically pleasing custom nose while maintaining complete functionality, which is what I desired. Upon meeting them, both surgeons instantly put me at ease with their professionalism, knowledge, and down to earth good humor. Now, after (6) months post surgery, I can honestly say my procedure was a success and has already far exceeded my expectations with only having experienced minimal down time and bruising. Not only do I have the perfect nose for my face, even those closest to me have not suspected I had anything done. I truly feel the surgeons gave me the nose I should have been born with, and I didn’t have to mortgage my house to pay for it. Why is rhinoplasty different in African American patients? So what does all of this mean to you if you are considering surgery? We truly understand how to maintain and enhance natural black beauty. We do not over-build the bridge or try to put a “white” nose on your face. Technically, we know how to achieve a great, natural, long lasting nose when dealing with the usual challenges of thicker skin, shorter nasal bones, and softer cartilage we find in you. In general, for most of our African American patients the widened frontal view is the most troublesome issue, especially at the tip and nasal base. Moreover, occasionally on profile there is a real lack of bridge height. As such the fundamental issue is how to make the nose less wide to balance the face and look smaller even as we look to build underlying support. What distinguishes our approach is a clear focus on tip definition and nasal base reduction that is appropriate to your face. Many plastic surgeons approach the African American nose with a belief that by building the bridge and adding cartilage to the tip, the nose will look more refined. While this does occur to a point, the reality is that it can lead to a loss of ethnic identity and a larger nose without the desired refinement on front view that is most important. When dealing with the need for tip definition we suture your own tip cartilages into a more defined, supported structure prior to suturing into place a tip graft, when needed. The benefits to this are not only the increased tip support and refinement we are able to achieve but also the fact that the tip graft, when required, is sutured into position insuring that over time it stays in correct position. In dealing with the nasal base and nostrils our technique for alar base reduction allows you to retain the natural curvature you are seeking while getting the proper amount of reduction without scarring. In dealing with the widened dorsum, we do not just place a graft or implant on top of your widened nasal bones. While this technique will increase bridge height, it will not correct the fact that the nose looks wide on front view. When this is an issue, we narrow the nasal bones prior to placing any graft that is required for bridge height. The resulting natural aesthetic that achieves the permanent refinement you are seeking has made us one of the foremost rhinoplasty centers for African Americans in the country.